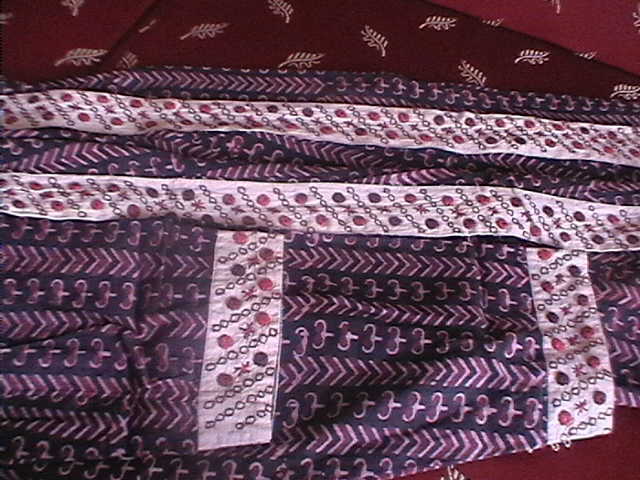 I bought some tiny mirrors to stitch on tunics. these mirrors gave me an idea of stitching thick borders. 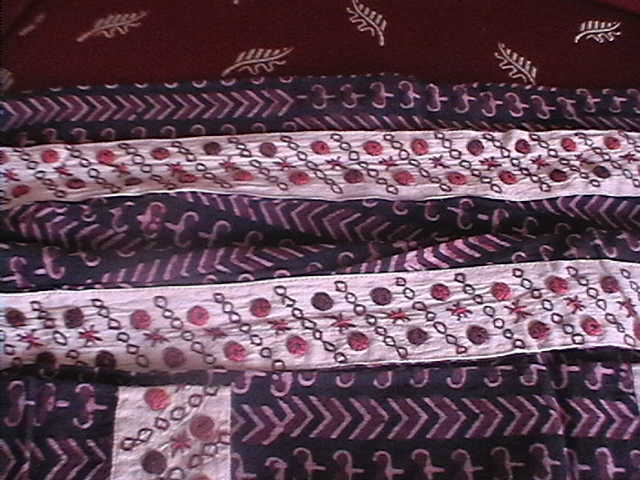 Fabric- brown block printed cotton. Pattern- A simple pattern incorporating the small mirrors. Embroidery-mirror stitch, double cross stitch, double running stitch The borders were for yoke, sleeves, side slits on front and BACK- this alone I could have avoided. the tunic itself was so heavy,whenever I made a turn wearing this tunic, it took the tunic a few seconds to catchup with me.LOL!